If you have recently arrived in Dubai you will no doubt be relieved that the weather has cooled down and are now ready to explore the rest of the UAE. 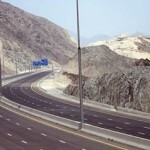 Residents in Dubai take advantage of the gorgeous weather by spending their weekends in the outdoors camping, hiking or lazing on the beach and one of their favorite destinations to go for the weekend is Fujairah which has now become closer thanks to the new Sheikh Khalifa Highway that recently opened connecting Dubai to Fujairah in less than one hour. 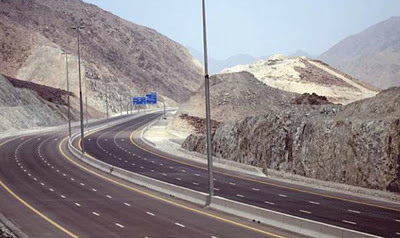 The three lane highway links Fujairah with the Dubai Bypass avoiding the busy towns of Al Dhaid, Masafi and the the frantic daily “Friday Market” best of all heavy lorries are banned from using the road meaning what used to be a hair raising driving experience could now be quite an enjoyable one with the road cutting through the dramatic Hajjar Mountain landscape.